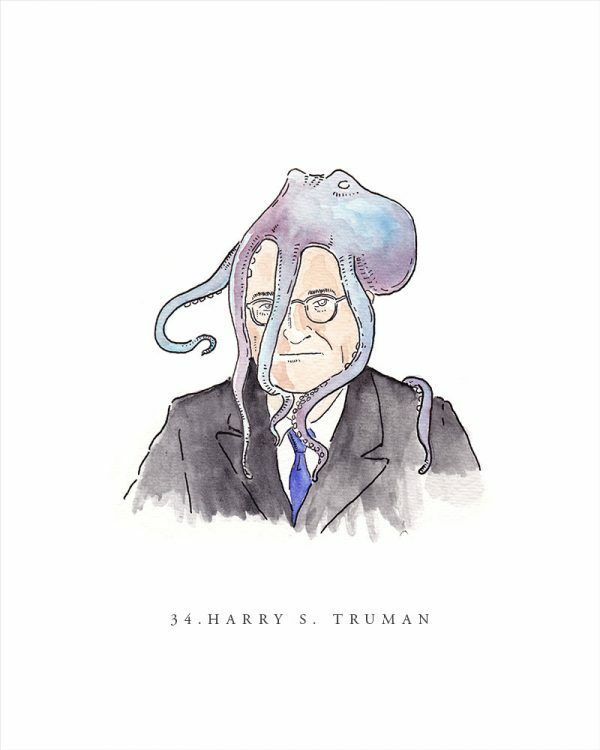 Two years ago on this very site, I unveiled to the world my insane project: hand-drawn portraits of every U.S. vice president with an octopus on his head, from John Adams to Joe Biden. The series started as a giddy, over-caffeinated 3 o’clock-in-the-morning sort of idea that I took way too far. And to my surprise, people seemed to like the weird project. My work was featured on sites like Boing Boing, io9 and Buzzfeed. So this week, I launched a Kickstarter campaign to put all 47 veeps--plus the guy who wins the current election--into one beautifully-designed book. I’ve always been quietly obsessed with the vice presidency. It is, after all, the fifth wheel of the Executive Branch. The U.S. Constitution has little to say about the actual duties of the veep aside from presiding over the Senate and wondering about the president’s health. The wording of the Constitution was so vague that when William Henry Harrison died of pneumonia after a lengthy and ill-advised inaugural speech, it wasn’t immediately clear that his veep, John Tyler, would ascend to the presidency or serve under the title of “acting president.” The ambiguity wasn’t cleared up until 1967 with the ratification of the 25th Amendment. Octopuses are very smart invertebrates able to open jars and use tools. As hats, however, they are lacking. They are uncomfortable, slimy and they make you look silly. In other words, they make perfect headgear for a job as absurd and public as the vice presidency. If you ‘d like to make the Veeptopus book a reality, please visit my Kickstarter page. I need to raise $9500. 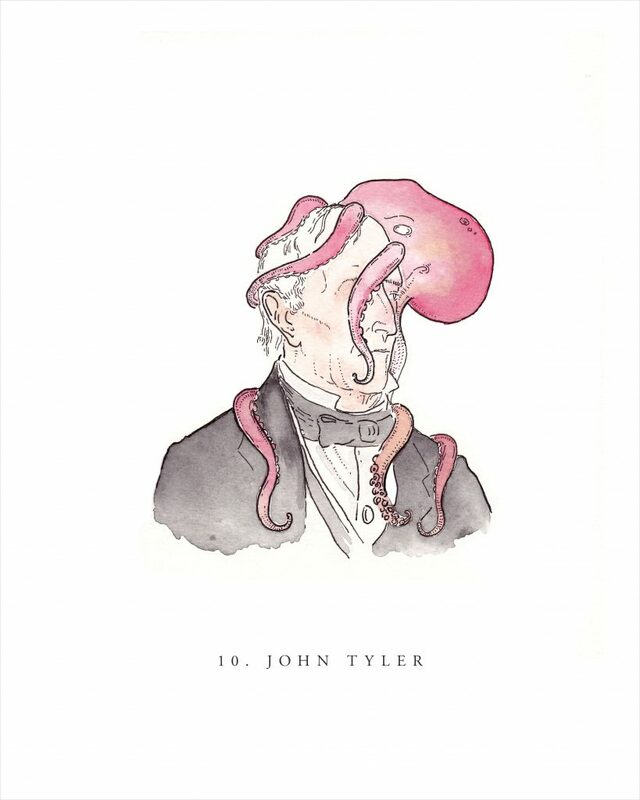 If you decide to be become a backer you not only can get a handsome book that will be a great conversation starter for years to come, but you can also get a Veeptopus poster and even an original portrait of you by me with an octopus on your head. So why delay, help Kickstart my project now. Jonathan Crow is a Los Angeles-based writer and filmmaker whose work has appeared in Yahoo!, The Hollywood Reporter, and other publications. You can follow him at @jonccrow. And you can check out his online Veeptopus store here. Some are supporting a new effort inspired by a New Idea.